Today is day one of the new receiver. Putting up the antenna was the last part of the puzzle. The receiver came from www.geo-web.org.uk and cost NZ$400 the antenna is second hand but almost new from Gary Moles in Palmerston North at $140. The images are currently going to www.binoscope.co.nz/wxtoimg/noaa.html but may be hosted on the Auckland Astronomical Society site one day. Below is the very first image it produced. 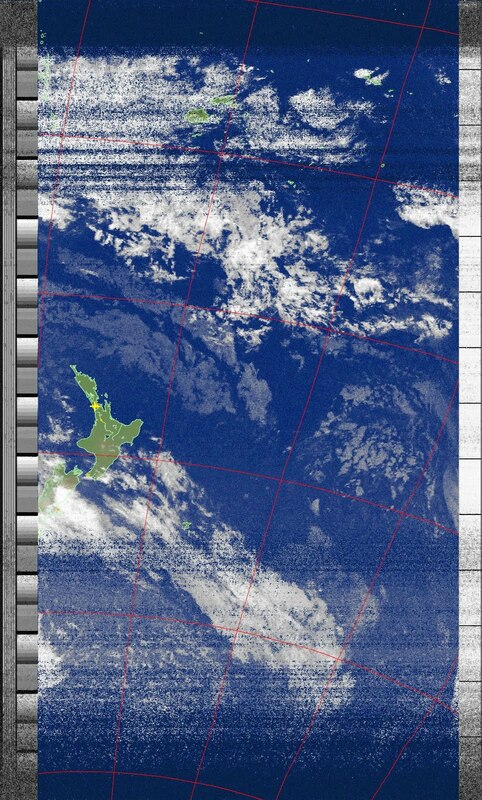 The satellite pass is very low only getting 28 deg above the horizon which is why it is so noisy.